Outcomes Management | RedGiant Analytics, Inc. Your organization works well, but it has so much more potential. You think, “If we focus on high lifetime value customers, we can build on our existing team to be even more profitable. If we can deliver ‘customer delight’ to them, they will become our advocates and we can build a solid foundation for the future”. You know you can get there – “we just need to work a little harder”. You set out to make it a reality. You plan, you establish goals, you set timelines. You work with your marketing, sales, and operational teams to achieve those goals – sure, there were a few blank stares, but you just needed to move. The strategy is put into place – great outcomes are just around the corner. On to the first quarterly cycle! At the quarter’s end little, if any, progress on the plan has been made. 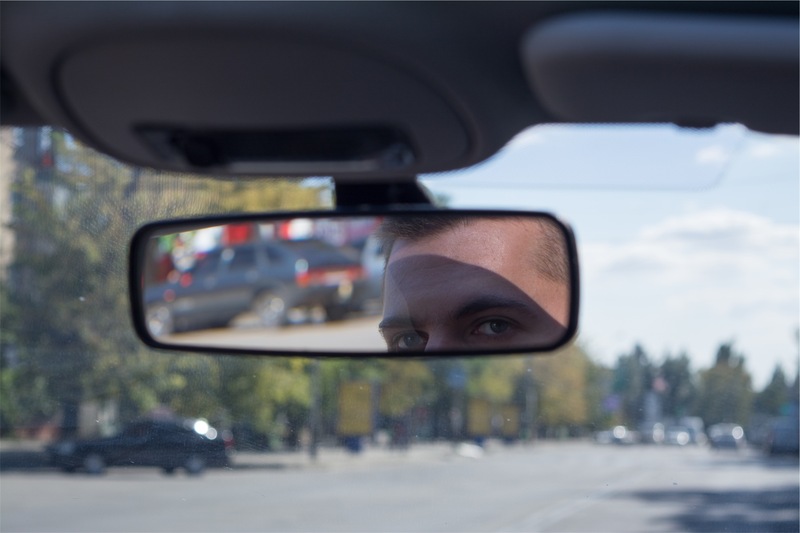 You look back. Everyone was working hard day to day. “Why haven’t we made progress?”, you think to yourself, “Sure, it took longer than we expected to revamp our marketing. Just keeping up with existing customers and sales was really tough this quarter.” There was a lot of activity. But you haven’t moved the needle on the outcomes you wanted to achieve. It just doesn’t feel right. It shows in the faces of your team as they realize they haven’t met their marks. They are demoralized. Fear and frustration set in. This is a story that nearly every entrepreneur has lived. It is a story that is just as applicable to large as small organizations – and to teams that are nestled in bigger enterprises. There is a synergy among stakeholders. How Employees feel – whether they are engaged and happy – affects their performance not only in terms of the quality and reliability of products and services, but also in whether they are advocates for their organization –a truly powerful sales dynamic. 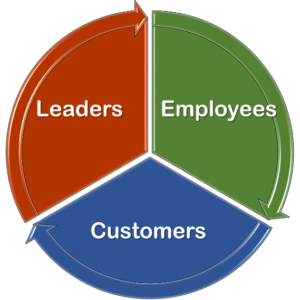 Employee psyche, in turn, affects the happiness and loyalty of Customers. Customer Delight is a well-documented, cost effective way to sustain and grow a business. Delighted Customers can also be extremely credible advocates that extend the reach of sales and marketing to potential customers and into untapped markets at little or no cost the business. Happy Customers make for happy Leaders and Owners. Leaders and Owners can and should be a source of Employee contentment. Leaders take pride and get satisfaction in managing a business that lives up to its promise. And so the cycle of synergy is complete. Transformational change occurs when energy is focused on those things that matter most to an organization. Most organizations do not. Research has shown that typically less than 30% of employees’ activities are actually linked to their organization’s highest priorities. Effort is not enough. Successfully executing on a strategy is not a matter of motion, it is a matter of Focus and Alignment. That is: Focus that is clear and communicated and Aligned to the actions and decisions of employees throughout the organization. Good Intentions are also not enough – for some 60% plus of strategic performance management initiatives don’t meet their stated objectives. RedGiant Analytics helps organizations discover their highest priorities, formulate their strategies, and pave the way to create the outcomes they desire. Using client specific approaches, we provide management consulting, education, and communications – coupled with proven methodologies and technologies that inspire and focus teams to achieve their desired Organizational Goals and Outcomes. We use a variety of methodologies such as Management by Objective, Balanced Scorecarding, Objectives and Key Results (“OKR’s”), and Management by Gaming – tailoring the methodology to match the needs and culture the client organization. Our management consulting hones in on the key drivers for and impediments to successful Strategic Performance Management and Employee Engagement. We help you formulate coherent, impactful strategies that are Specific, Measurable, Achievable, Relevant, and Time-Boxed (“SMART”). We work with you to create transparency and accountability through qualitative and quantitative measures that drive desired Outcomes and Objectives. We fashion communication and engagement techniques, like gamification, that are motivational and fun for stakeholders. We help you find and implement tools and techniques that are relevant to your industry and culture that build employee buy-in and leverages their experience and expertise. RedGiant is an Affiliate of Alliance Enterprises, the good folks who bring you MyObjectives.com. MyObjectives is a new and powerful set of cloud-based technologies that automate and empower ‘Goal Achievement’. Embedded with Management by Gaming, MyObjectives allows organizations to: Develop SMART Objectives, Align those Objectives, Track Accomplishments, and Achieve Organizational Goals. 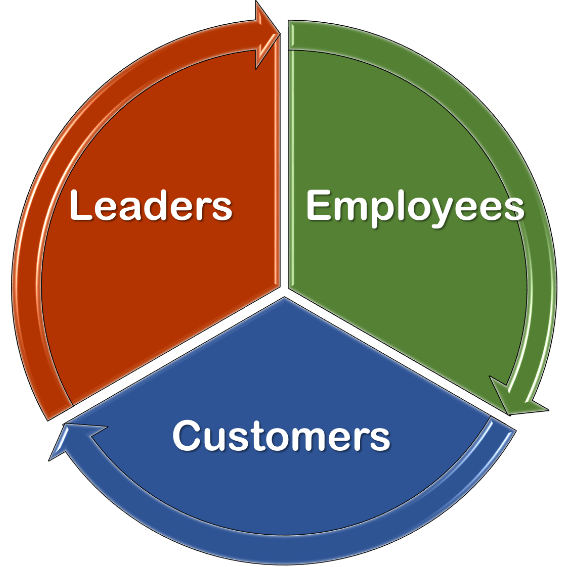 MyObjectives eases the day to day maintenance and management of Performance Management and Employee Engagement. It provides a framework that eases quarterly objective setting and tracking. This technology enables timely, relevant, and visually compelling information and feedback – so that everyone knows their status and that of their team and the organization overall. It depicts not only status, but progress and problems – all in a way that makes sure that everyone knows what their next priorities are and how they can help themselves and their team achieve success. RedGiant can help you acquire, implement, customize, and maintain MyObjectives. Our goal is to enable you to take on and ‘own’ your Outcomes Management effort. 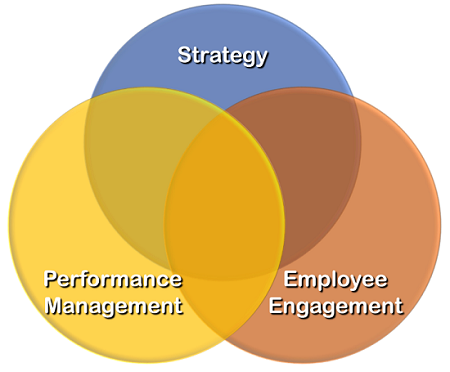 We can be there to facilitate your adoption of Strategic Performance Management and Employee Engagement. We can set up your system or just be a resource as you take on these exciting efforts. We can also provide training, data conversion, and maintenance. Our ‘Key Result’ is Your Success.